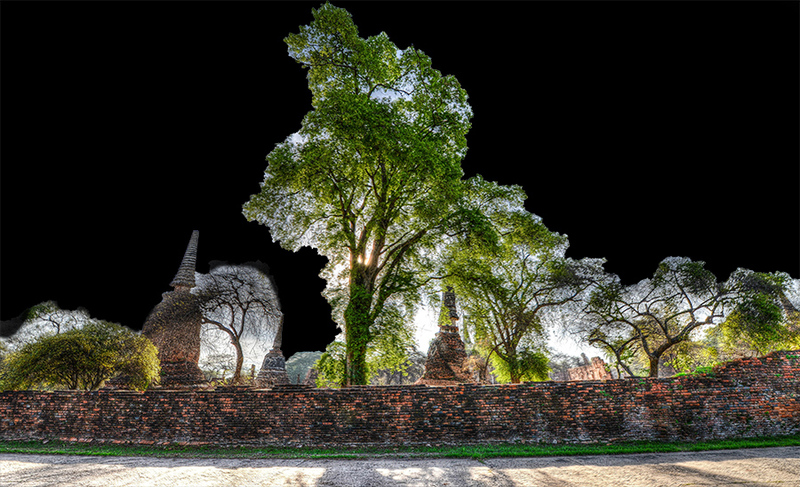 Ayutthaya Historical Park is located about an hour north of Bangkok on an island surrounded by three rivers. 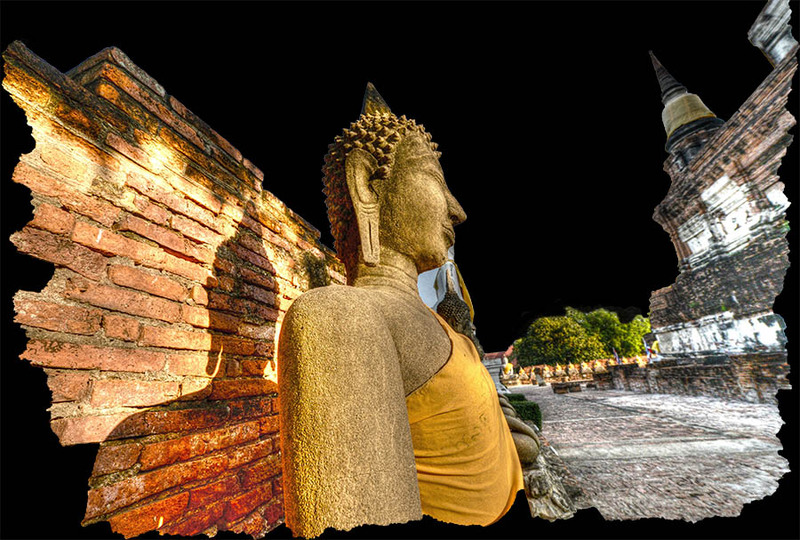 The ancient capital can be visited as a day trip, but because of its laid back charms and numerous temple ruins, Ayutthaya deserves at least an overnight stay and two days of discovering its history via either bicycle or tuk-tuk. 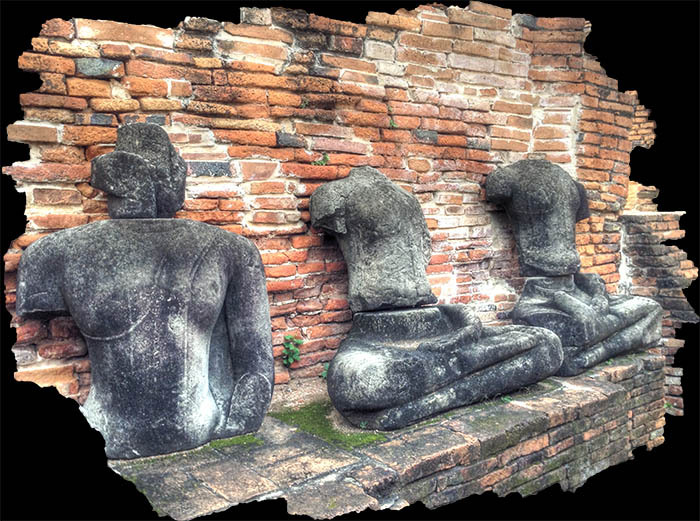 Touring all of Ayutthaya's temples on foot is impractical for all but the most dedicated backpacker. 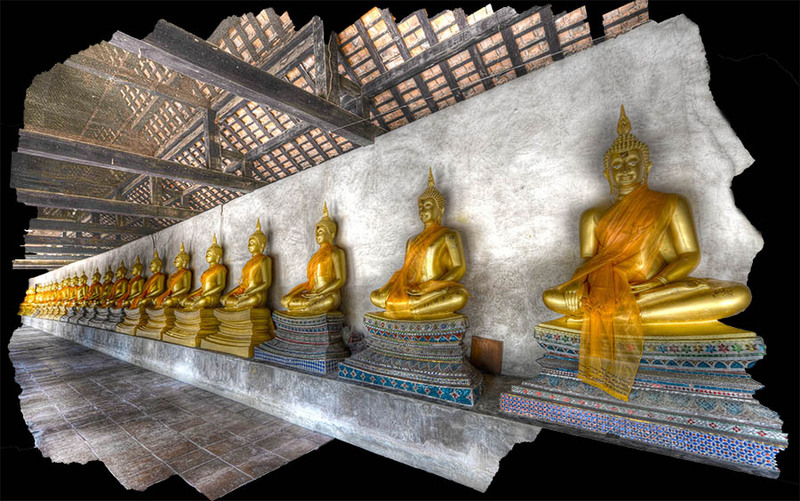 Monuments and temples in Ayutthaya were constructed during the reigns of 33 successive kings, each a deified ruler. 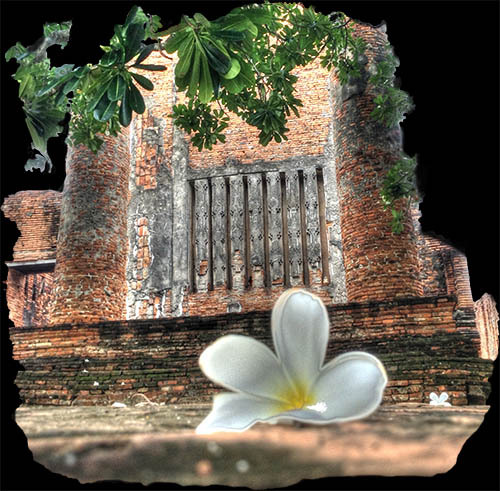 What is usually thought of as Thai culture began in the late 1200's at the ancient capital of Sukothai 350 km to the northwest, but it was here in Ayutthaya that Thai culture is said to have flowered. Ayutthaya's size during the medieval period rivaled Europe's largest and most cosmopolitan cities of the day. 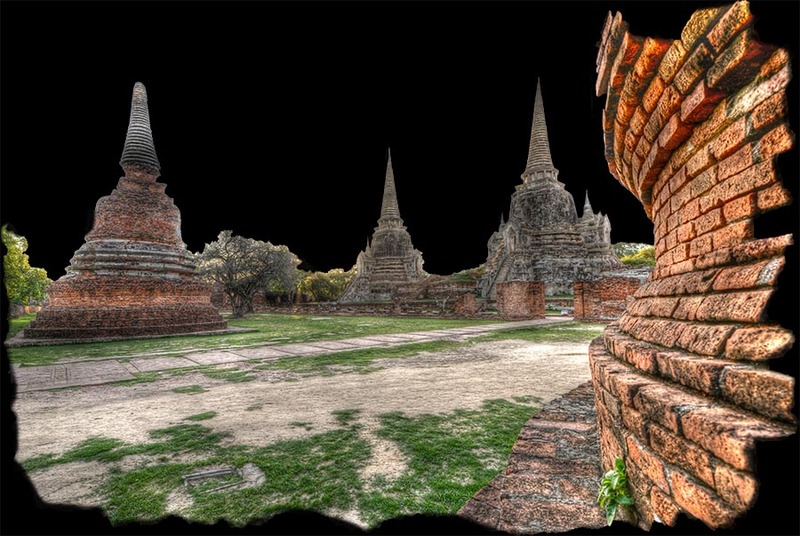 By the 1600's Thai Kings of Ayutthaya would become quite skillful at playing one European country off against another, for example the French versus the Dutch. The history of nearly all of Southeast Asia can - in a nutshell - be characterized by the rise of one great kingdom followed by the decline of a nearby one. 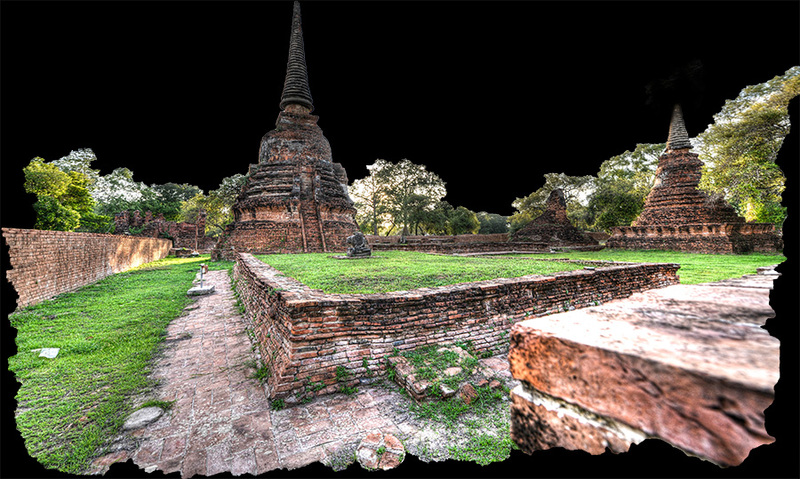 As Ayutthaya rose in influence in the south of Thailand in the 1400's, Chiang Mai underwent a corresponding decline in the north. Even earlier, Chiang Mai (the Lanna Kingdom) was able to rise complements of the Mongol invasion of Burma (Myanmar) towards the west and the Mongol's overrunning the Burmese capital at Bagan. 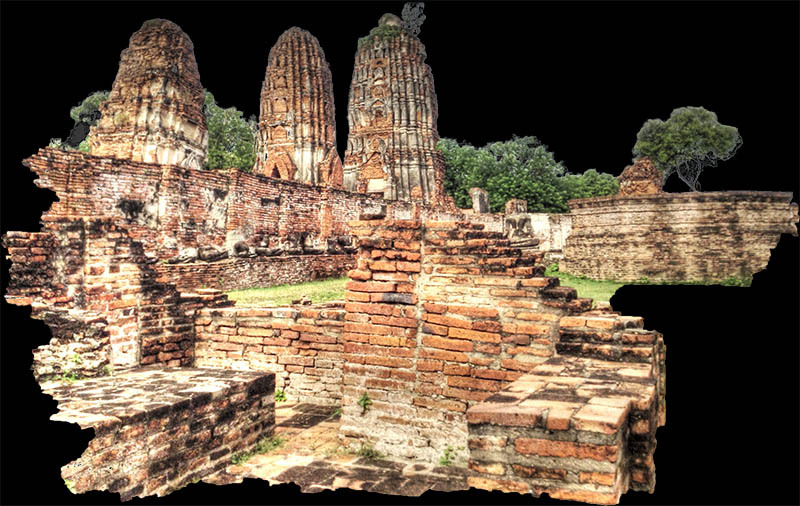 Even though Kubli Khan never stepped foot in Thailand in the 1200's, his ambitions certainly ended up having a lasting influence here. 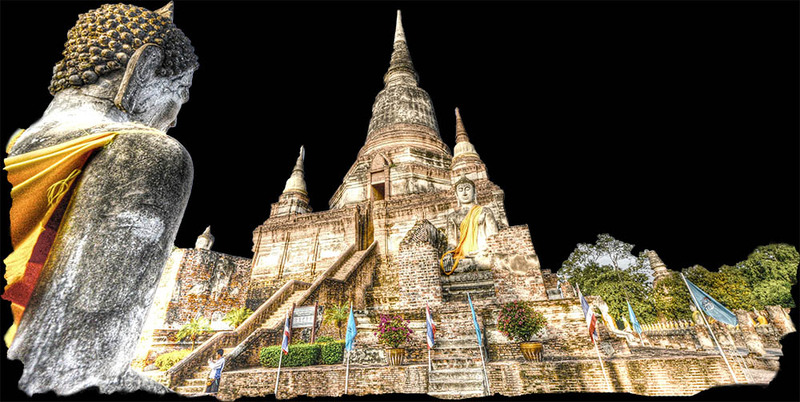 Temples were often named after the monarch who financed them, others after flowers, medicinal plants, or animals found in the area. The Ayutthaya Kingdom was enduring . 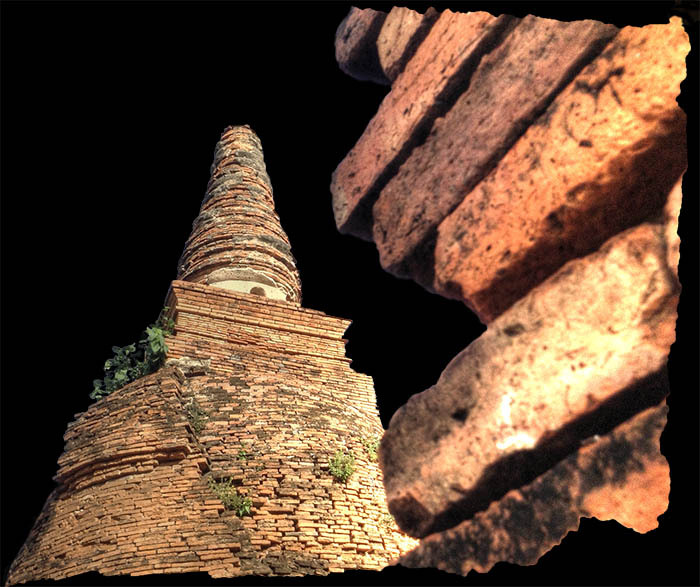 . . lasting three-times longer than the Kingdom of Sukothai. 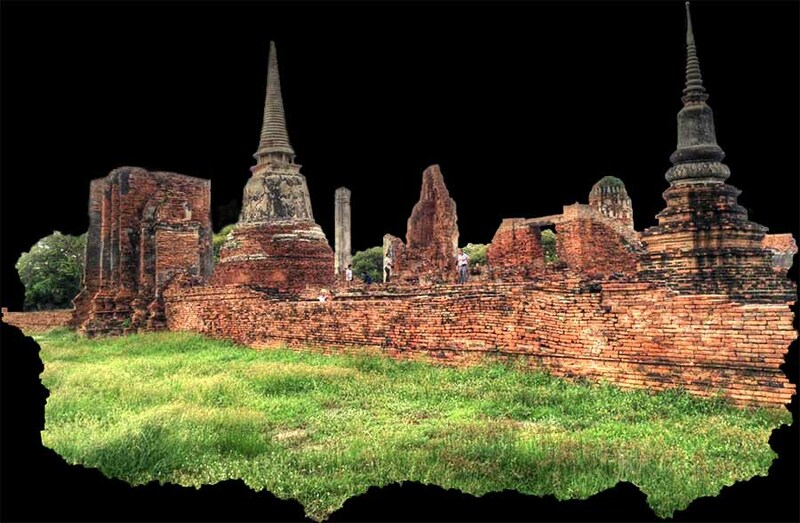 Ayutthaya ruled over most of Thailand for just over 400 years. 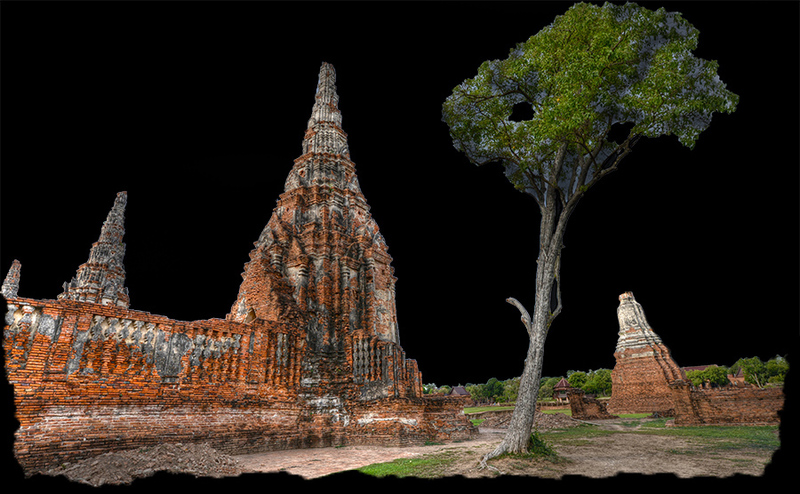 For a short period of about 5 months, Ayutthaya had a king who was only 4 years old. 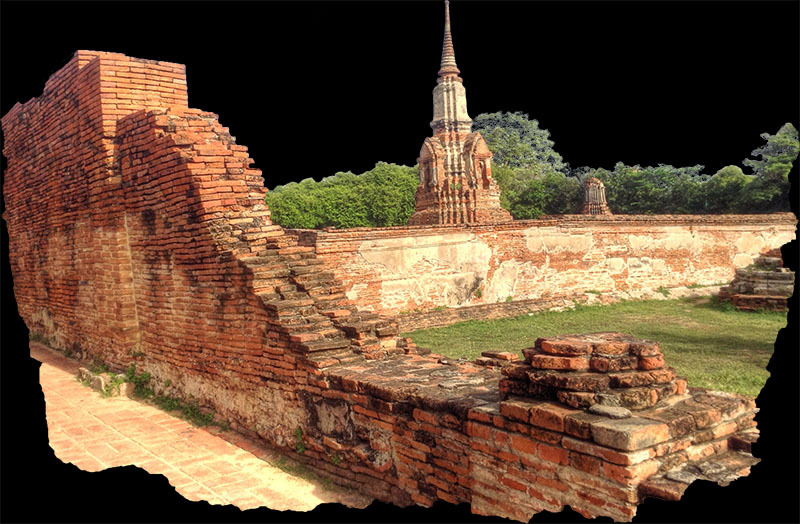 Before Ayutthaya took its place as the capital beginning in 1350, it was already a bustling local village thanks to a prime location. Being on an island created by the confluence of 3 rivers, the area was ideal as a hub for both trade as well as communication. Where better to run a newly emerging empire based on agriculture from? And as if it were a reward offered by the local water spirits for placating them, Ayutthaya was only 70 miles upriver from the sea. Chinese junks could journey up to the island with the incoming tide, and then back out towards the Gulf of Siam as the currents reversed themselves when the tides receded. While very little is known about King Ramatibodi I, it seems clear he became a royal by first marrying a Siamese princess. 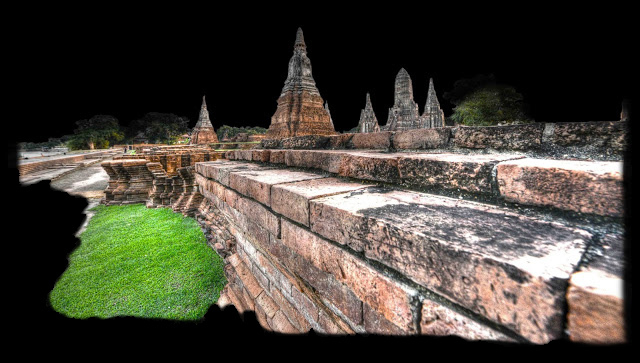 When her father later died, Ramatibodi ascended to the throne to became King of Utong. But, as often happens when a civilization depends on a single water source, Utong's only river silted up. As a result, its drinking water became scarce despite the king having numerous unproductive wells dug, and a water-borne disease called cholera broke out which decimated the population. 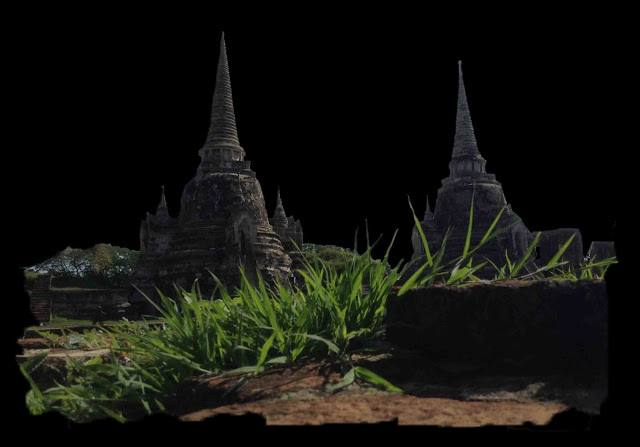 The young king was left with no other choice than to find a new location for his capital, which of course was to become Ayutthaya. One way to expand a kingdom is to appoint as rulers that the king can trust. 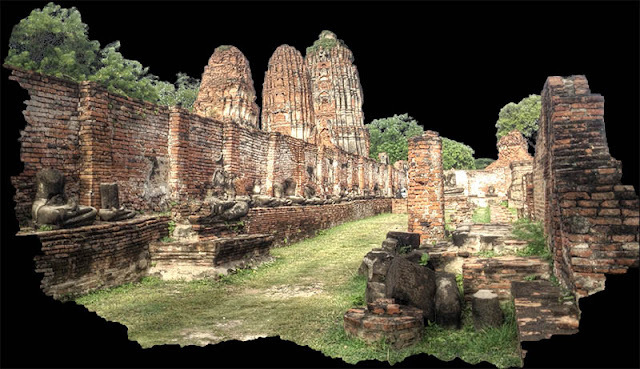 This is why King Ramatibodi made his wife's brother the governor of the area to the north of Ayutthaya, right adjacent to the Sukothai kingdom. 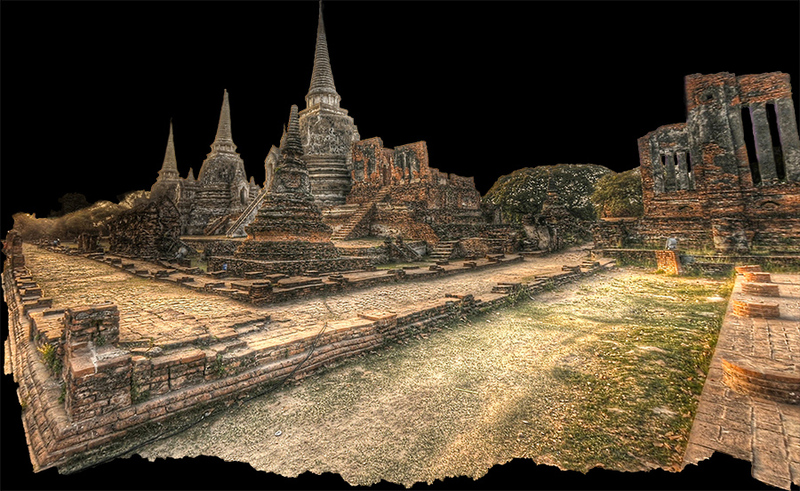 Ayutthaya was moving up in the world. Most Thais have good hearts when it comes to animals and laypeople take it upon themselves to feed them, usually around sunset. 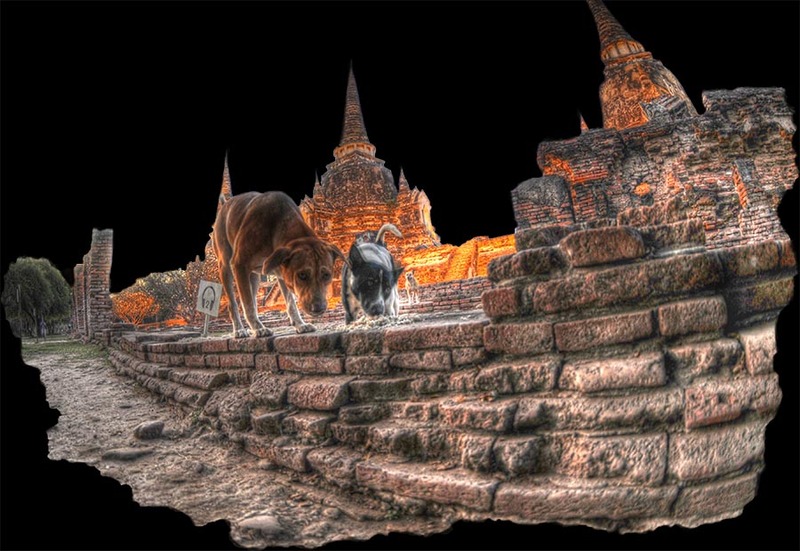 Modern Ayutthaya has hundreds of feral dogs that live on its streets and in its temples, and yet I've never had a stray dog bother me even while riding a bicycle. 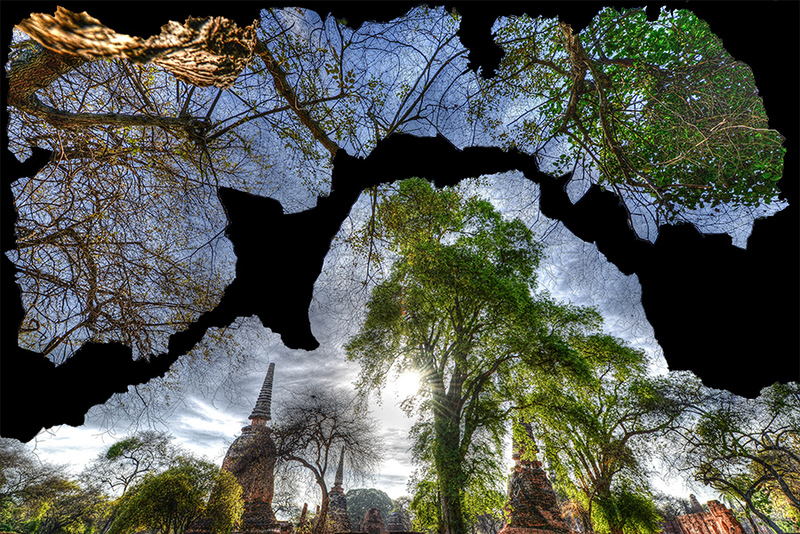 Other animals you're likely to see are playful squirrels and bats that exit the temples at dusk. 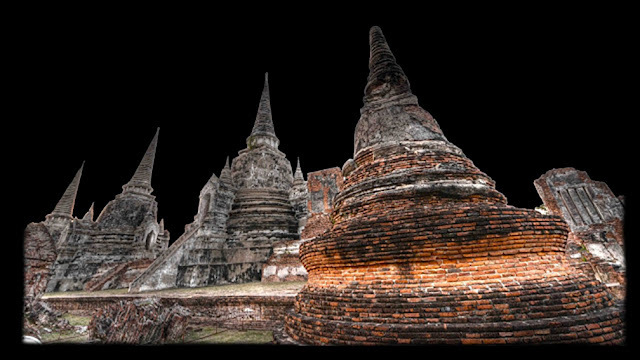 Its location on a river with good access to the sea allowed Ayutthaya to become an important exporter of wood, rice, and spices. In a similar way that Europeans like Columbus sailed west in search of pepper, the Chinese traveled south to Cambodia and Thailand. 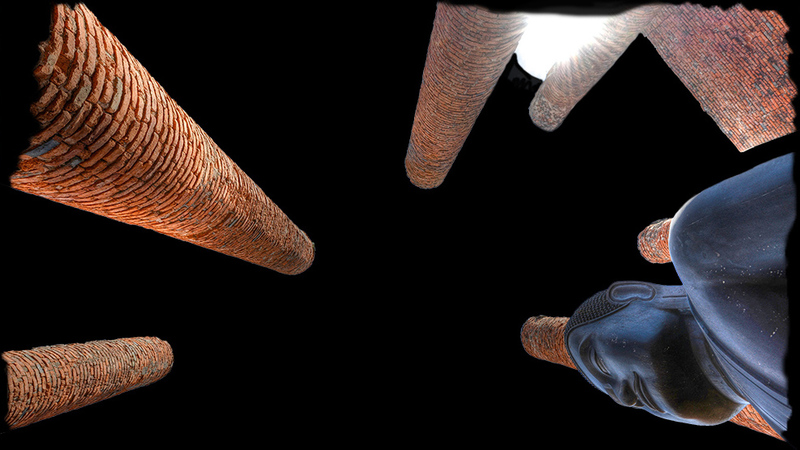 Pepper became an important tribute item that the Ayutthayan Kings paid to China. 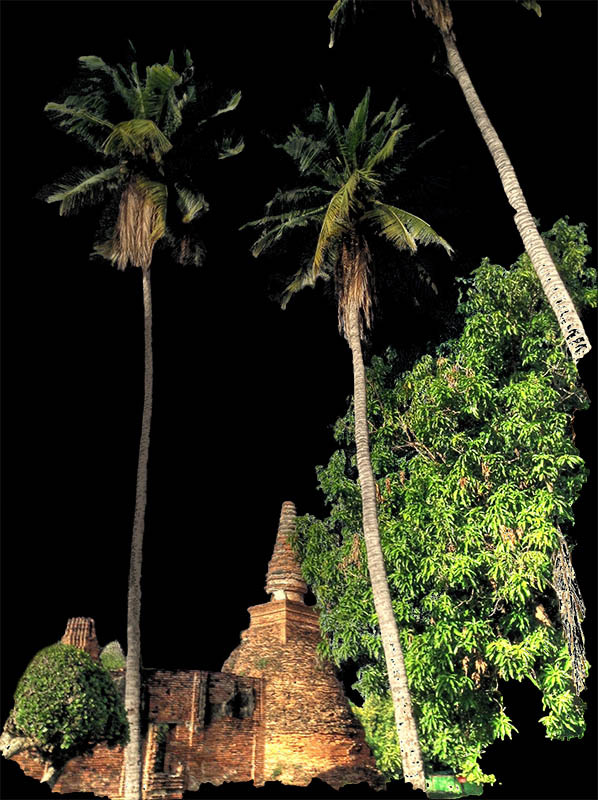 The Dutch would later trade cotton goods for pepper in Ayutthaya. 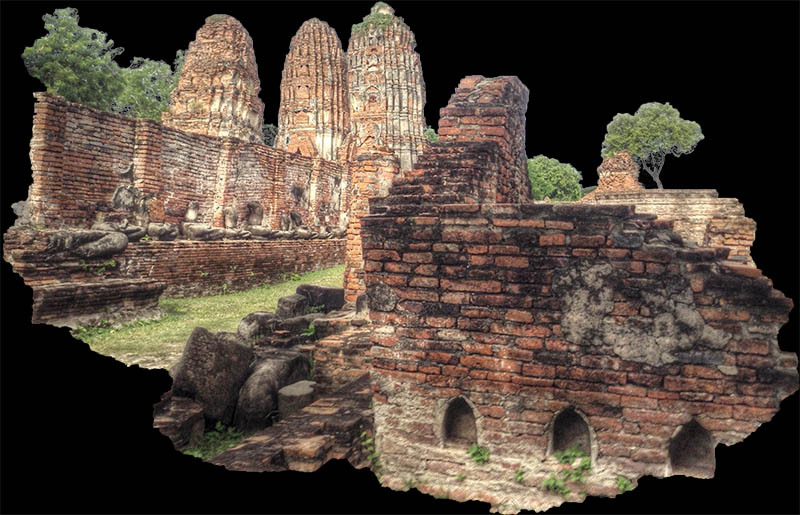 A visitor in 1590 would have found an interesting mix of Portuguese, Indians, Chinese, and even Turks transacting business or perhaps advising the king in Ayutthaya. 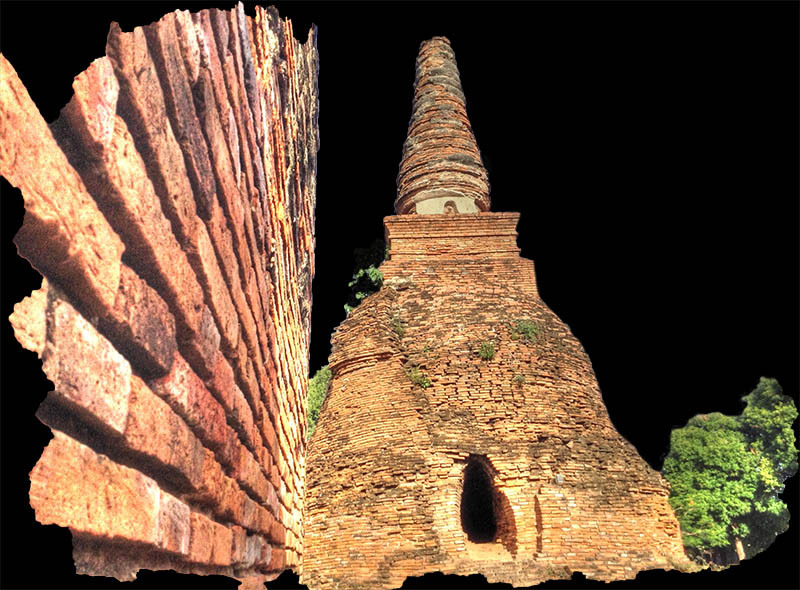 Being at war with neighboring kingdoms in Burma meant the Kings of Ayutthaya valued European weapons (cannons, muskets) and gunpowder. 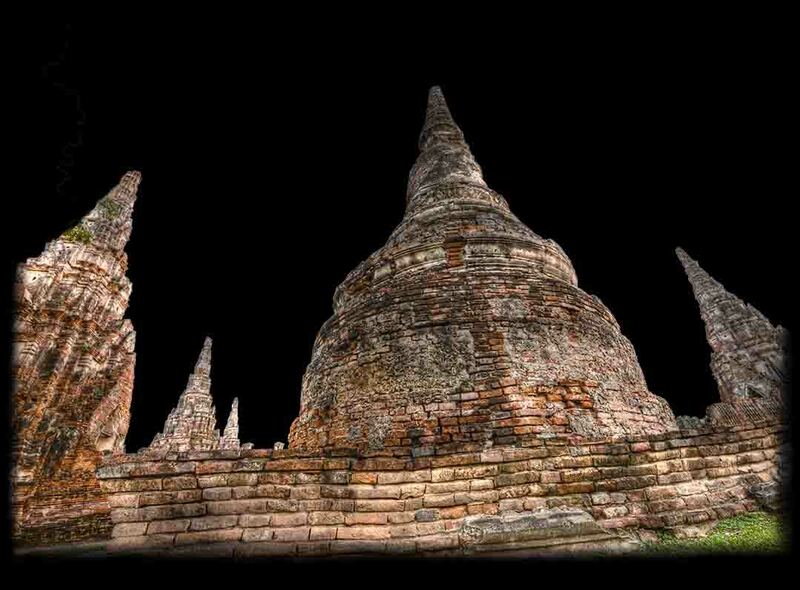 It would have been fresh in their minds how the kingdom had actually fallen once before to the Burmese back in 1569. In 1584 Prince Naresuan declared independence and withstood several attacks by the Burmese, eventually to become King in 1590. In 1593 he fought the Burmese prince in a dual with both riding on the backs of elephants. Naresuan won. This ushered in an era of expansion, with the kingdom stretching into Cambodia and taking Chiang Mai from Burma around this time. Though he never had any children, King Naresuan will always be remembered for his positive influence in shipbuilding, increasing Ayutthaya's navy and resulting foreign trade. 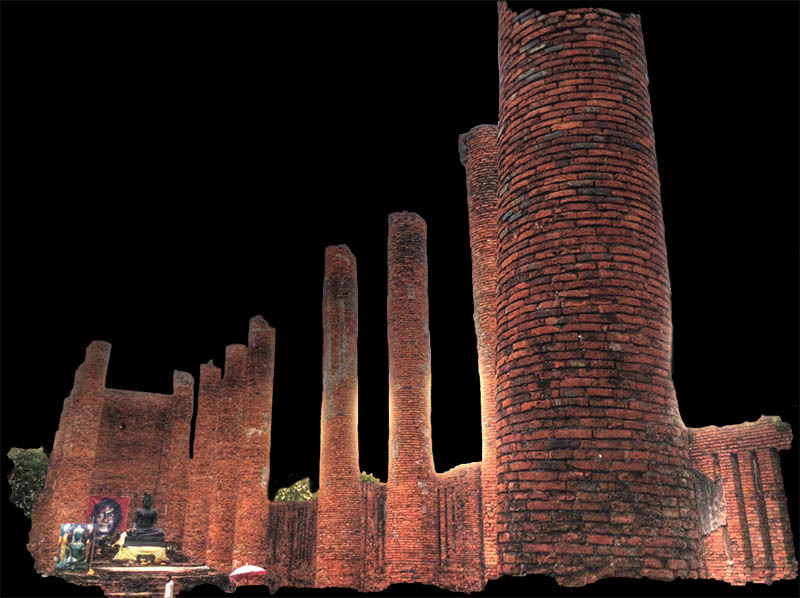 Ayutthaya was destined to become a great center for trade and communication. For example, 30,000 conscripted workers dug the Mahajai Canal for this purpose and by the 1700's, ships were being built to carry elephants from Thailand to foreign markets. 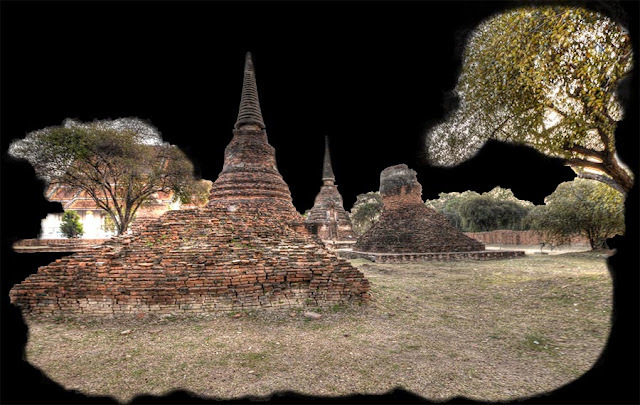 In 1563, the Burmese attacked Ayutthaya again because the Thai king wouldn't give the Burmese king two white elephants. 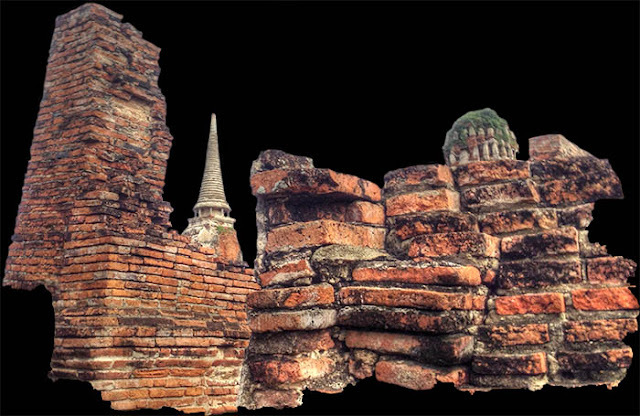 Fortunately, by this date, the Siamese had replaced Ayutthaya's 200-year old mud walls with bricks, as was the custom in Europe. In 1584, Prince Naresuan declared the independence of Siam after 15 years of Burmese vassalage. Naresuan had grown up in northern Thailand and had previously spent 6 years in Burma as a hostage. He knew Burma's strengths and weaknesses and could even speak Burmese. 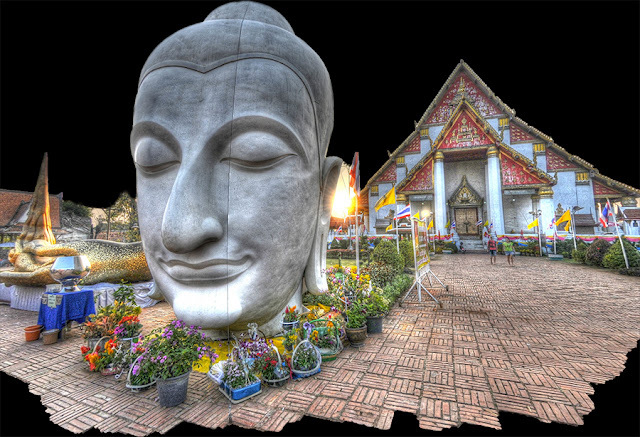 Naresuan became Thailand's first "foreign-educated prince". 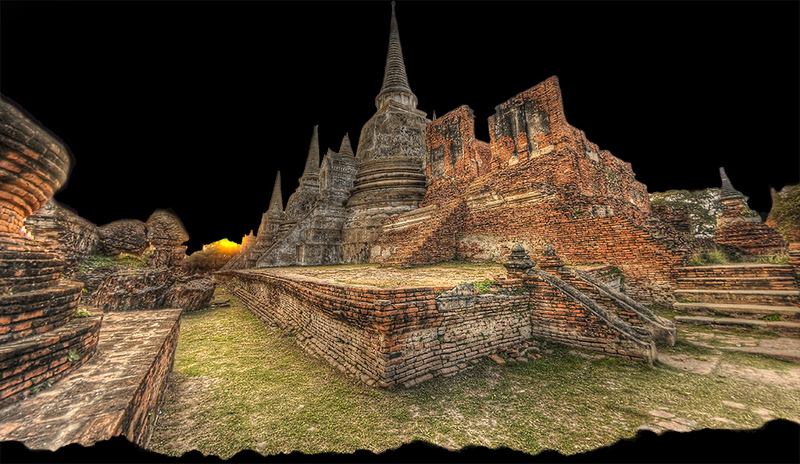 The year is 1549 and the Burmese king Tabengshweti decides to invade and capture Ayutthaya. Apparently he views Siam as politically unstable and ripe for the pickings. He also wants revenge for the Siamese king's previous support of rebels in Burma who were looking to overthrow that kingdom's monarch. 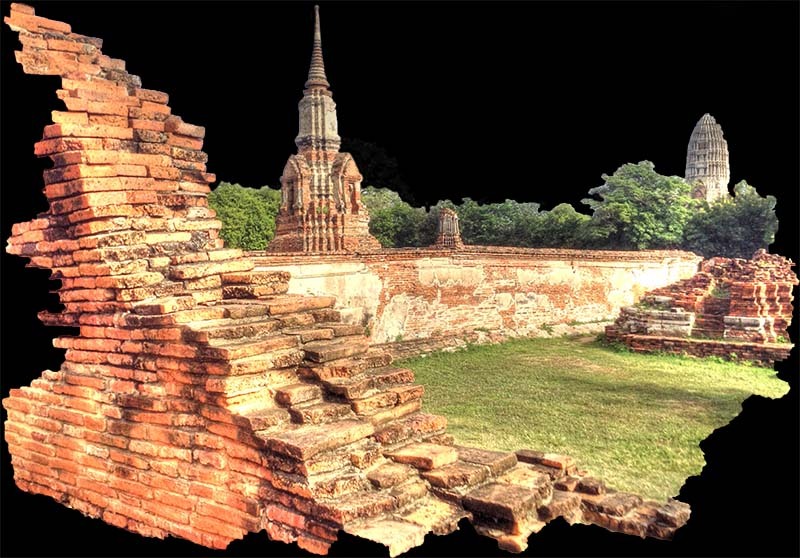 The battle that resulted gave Ayutthaya one of its greatest heroines in all of Thai history. 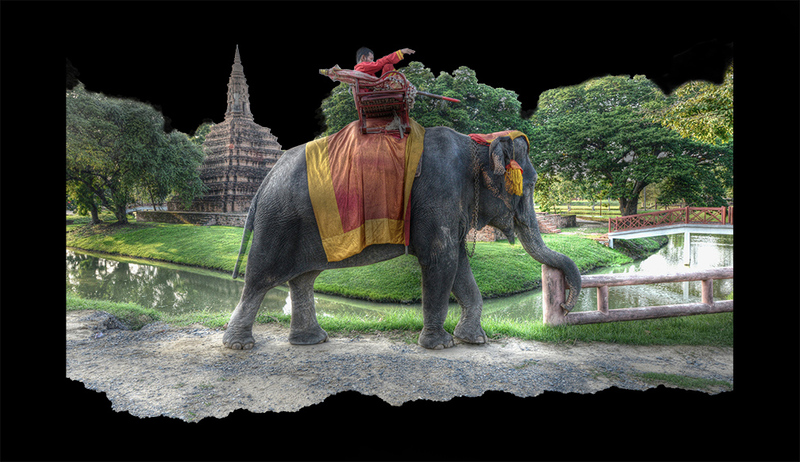 It seems when the king of Ayutthaya, Mahachakrapat, rode out to meet the Burmese on his war elephant, his Queen Suriyotai rode with him. While doing battle with the Burmese general, Prince of Prae (Prome), the king was chased. To save him, his queen drove an elephant between the two but was herself killed. 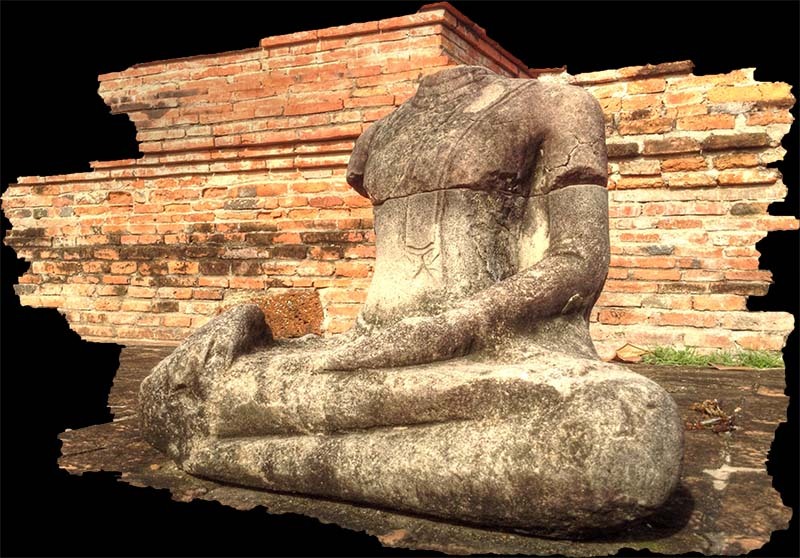 Her sons took her body back to Ayutthaya, where she was revered ever after. 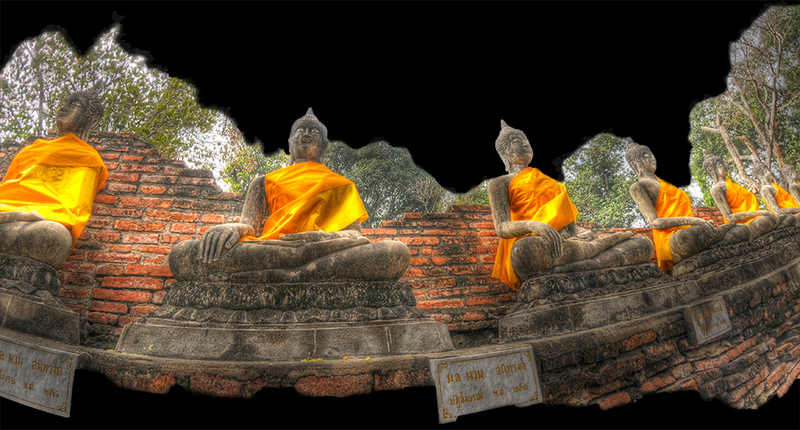 In Ayutthaya due to the proximity with Khmer culture, the kings were considered to be reincarnations of Buddha or Shiva. Both Cambodia and Siam were largely agrarian societies, and both of these facts are probably why Islam never took root and displaced the local religions in this part of Southeast Asia. This is in contrast to the Malay Peninsula, where trade and Arabs made a much better fit. 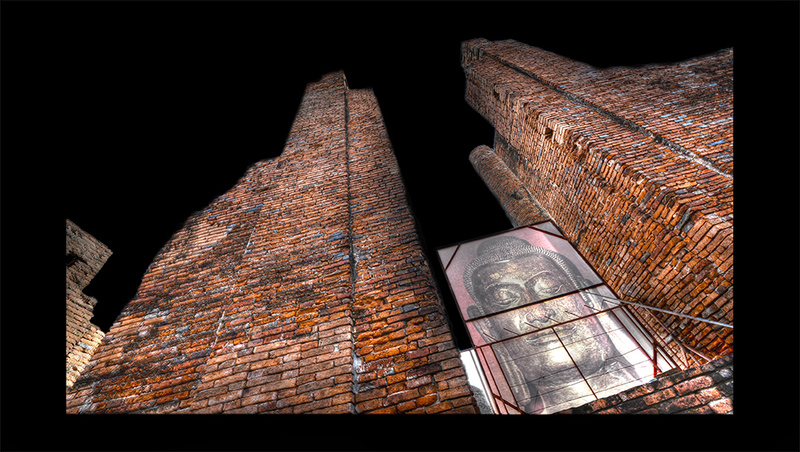 When the Burmese sacked Ayutthaya in 1767, they stripped a 48-foot tall (16 m) Buddha statue of around 800 pounds (400 kg) of gold. 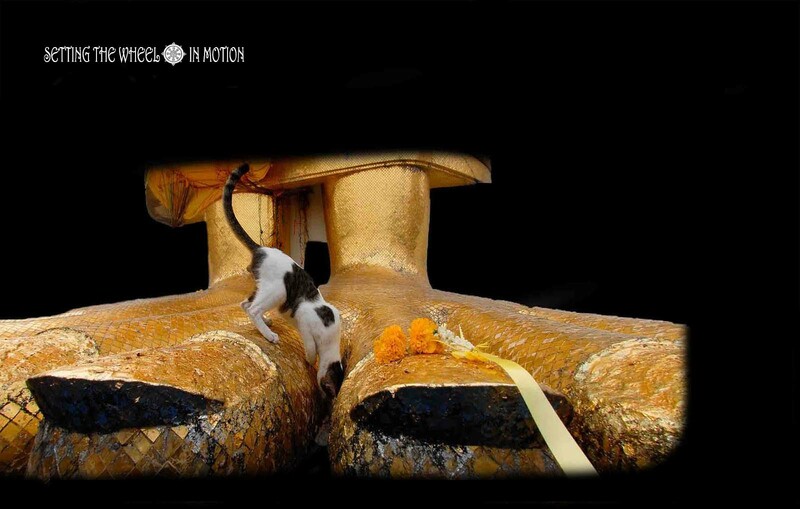 The statue was on a 25-foot pedestal in Wat Pri Srisanpet. 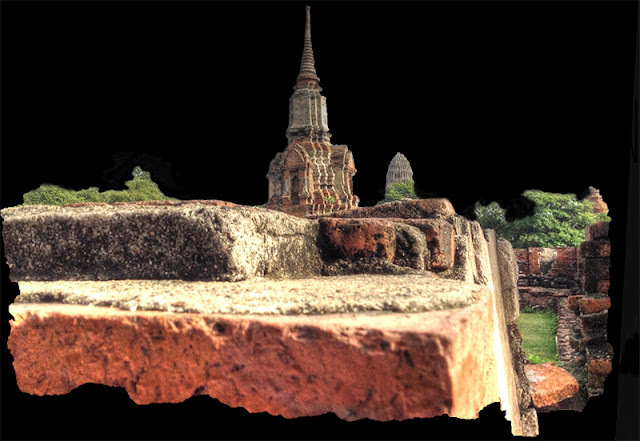 Sometimes, the kings of Ayutthaya simply changed the calendar if they didn't like something. King Prasattong worried that Siam would have a disaster in the Year of the Tiger (1638-9) so he simply decreed it to be the Year of the Pig instead. 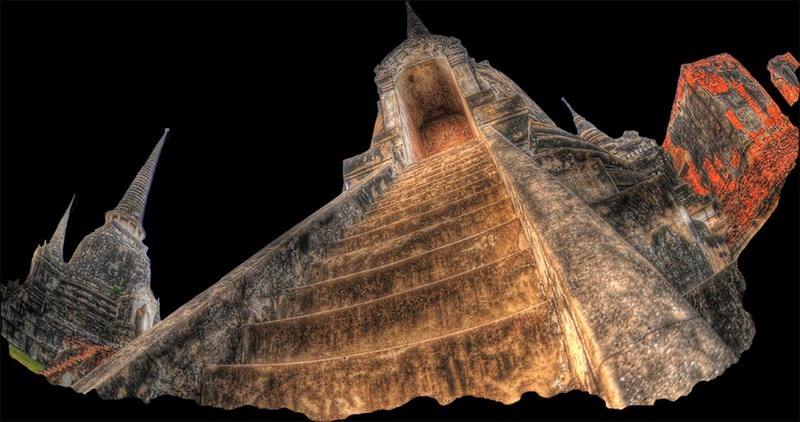 Khmer religious influences of the Angkor Kingdom in Cambodia (such as the prang above, which is more rounded at the top) can be seen in some temples at Ayutthaya. 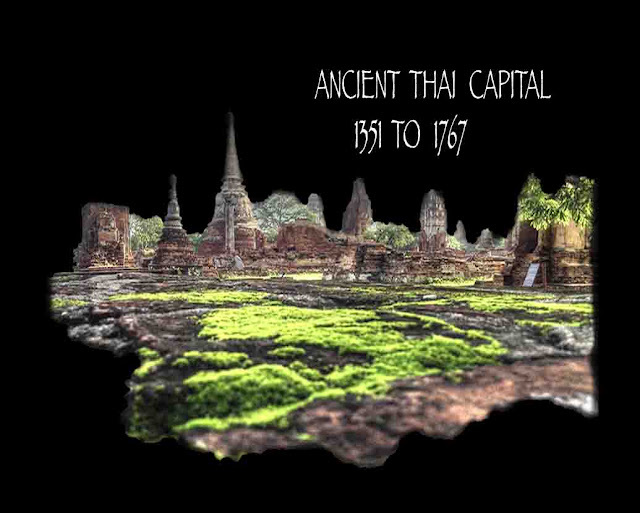 Much of Thailand was under the control of the Angkor Empire one thousand years ago. 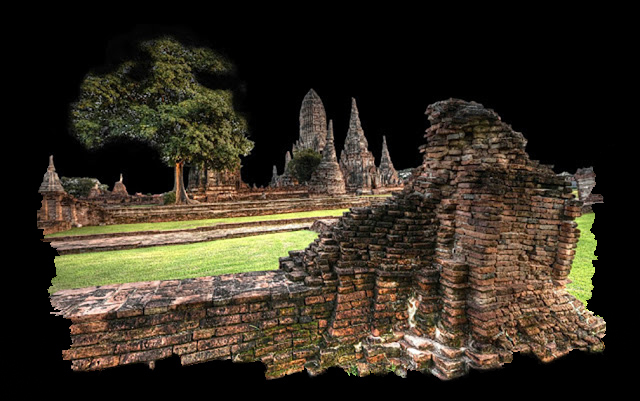 When the Angkor Empire came to an end in the 15th century, a power vacuum in Southeast Asia ensued which was eventually filled by the Thais of Ayutthaya. 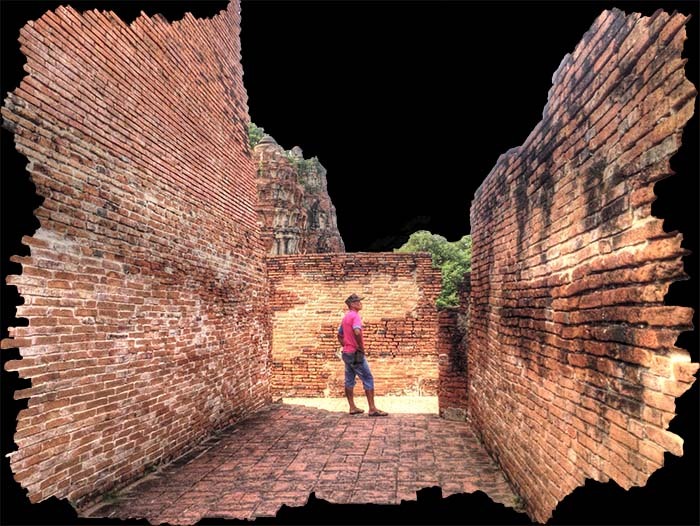 In fact, Thais and Cambodians had been living side-by-side for around 100 years before Ayutthaya was founded, so it wasn't that much of a change when King Ramatibodi I came here. If you ever get a chance to see a royal ceremony in Thailand, you may see Brahman priests taking part. 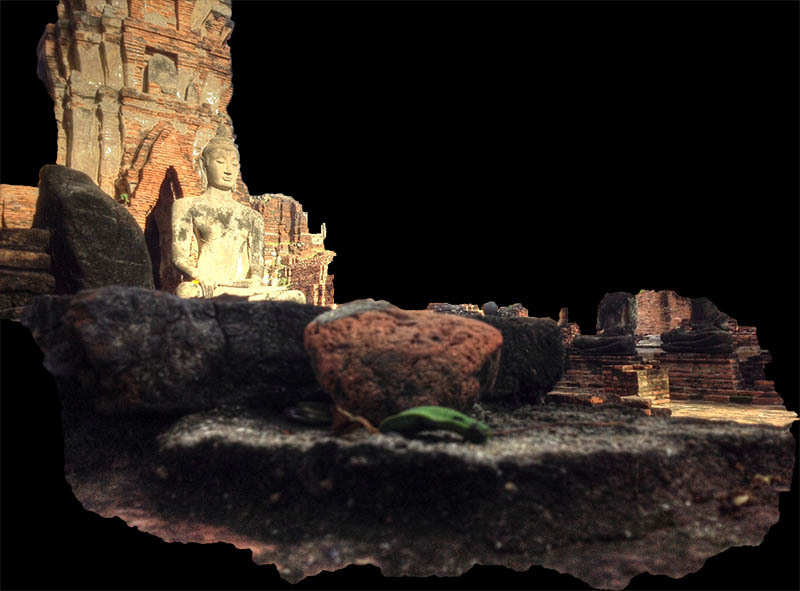 This is directly due to the Khmer cultural influence on the kings of Ayutthaya. Much of Indian tradition (even cooking) comes from India by way of Cambodia. 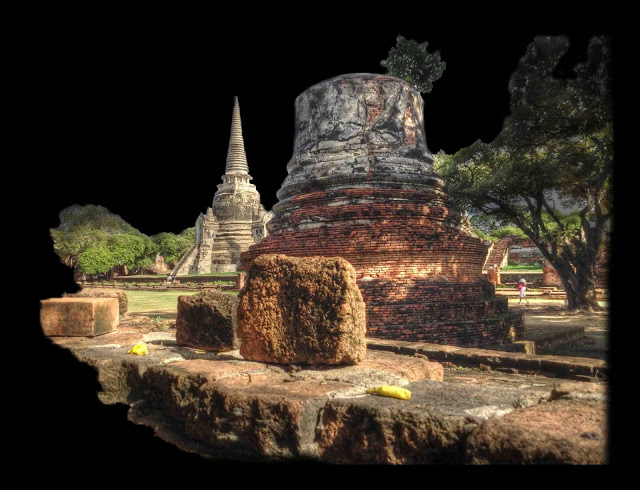 Before Ayutthaya, the kings of Sukothai were seen by their people more as a fatherly figure, King Ramphenheng being the most obvious example. He's the king who had a bell that could be rung by any citizen who had a dispute that needed to be settled. 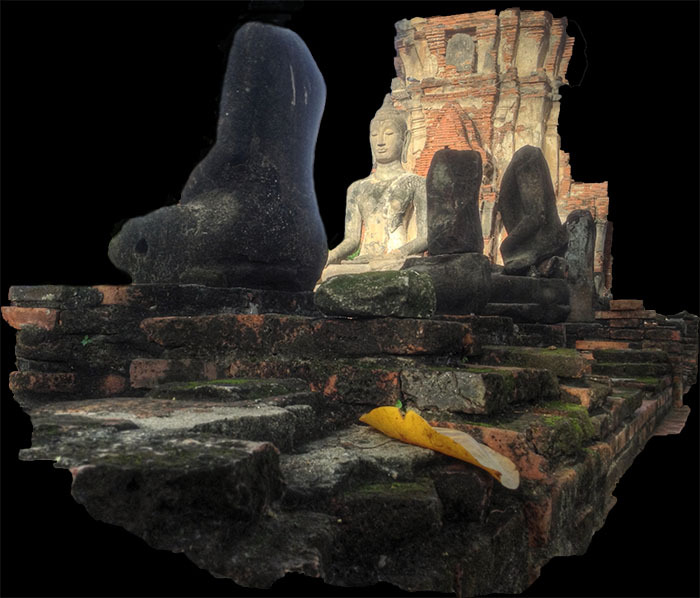 Well anyway, when the kingdom of Ayutthaya ascended, its proximity to Cambodia meant many of the core beliefs of the Khmer were incorporated into Thai culture. For example, the notion of "divine kingship", where the king is a god, in fact he was often called simply "Lord of Life". From this time forward until the early 20th century, the king of Thailand was usually seen as the sole strong central authority. It's because of Cambodia that the Thais have four languages within their language. Before, there was religious language, polite language, and slang language. 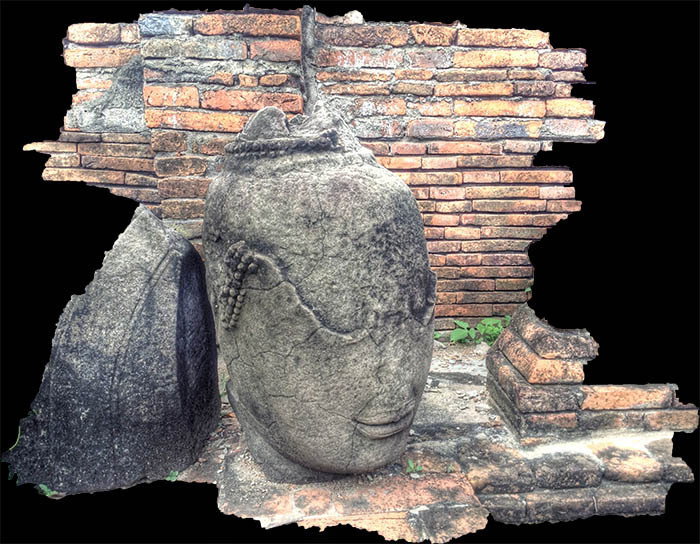 The Khmer brought into Thai the court language. 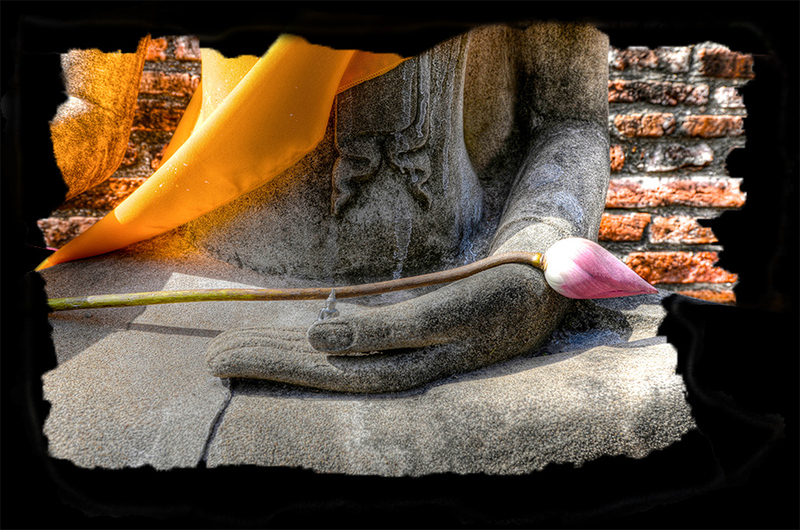 What this means is that a Thai person will use different words when speaking to a monk than they would the king, their parents or even friends. Whenever I see a Buddha statue with a slight smile, it tends to remind me of how Ayutthaya is where the Thai culture we know today first came into its own. 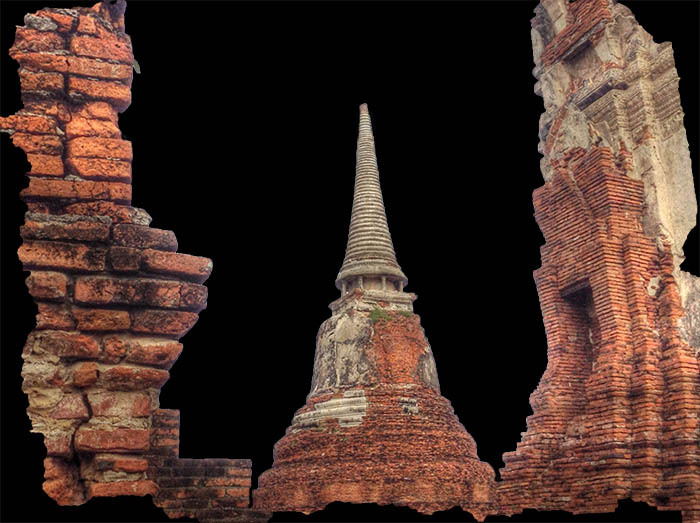 Instead of being mourned as the glorious capital the Burmese destroyed, Ayutthaya is perhaps better remembered as the place Thai culture flourished for over 400 years. 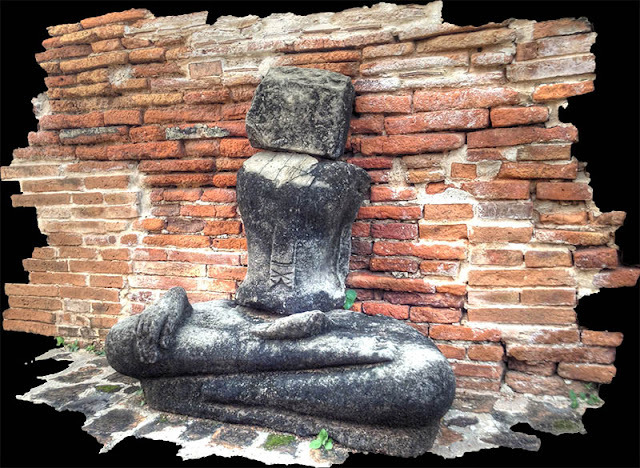 While it's true the kings of Ayutthaya had much authority, being considered gods reincarnated (thanks to the Khmer, who in turn got it from Hindus of India), it's also true there was a restraining influence thanks to the state religion. 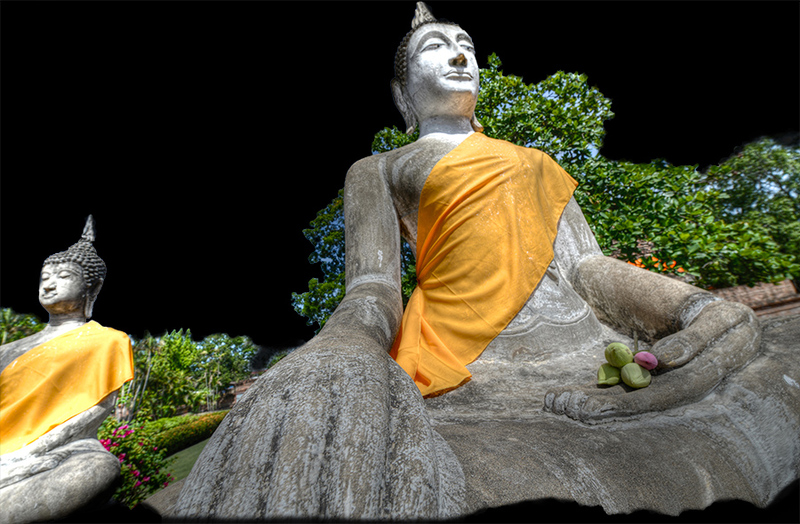 The king being a Buddhist meant he also had to be pious, kind, gentle, fair, believe in liberty of thought, and have enormous patience, like the Buddha himself did 2000 years before. 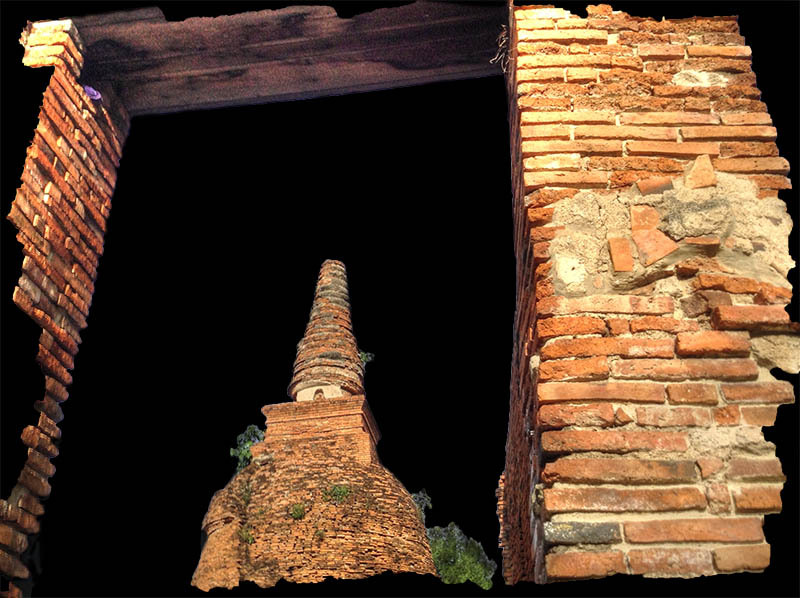 In 1587, Ayutthaya was saved thanks in large part to famine and disease. The Burmese had laid siege to the city for 5 straight months, but were forced back to Burma because of starvation and illness. 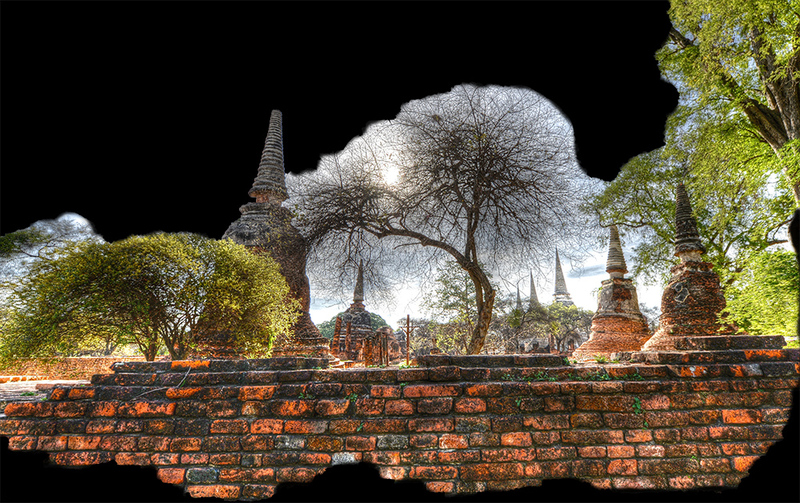 Ayutthaya had a lasting impact on the Thai modern language, providing it with what is known as a "court language" in addition to many common slang, polite, and religious new words. You may read in some history books that Thailand had a "feudal culture" similar to Europe during the Middle Ages, but in fact Thai culture was based on an absolute monarch. 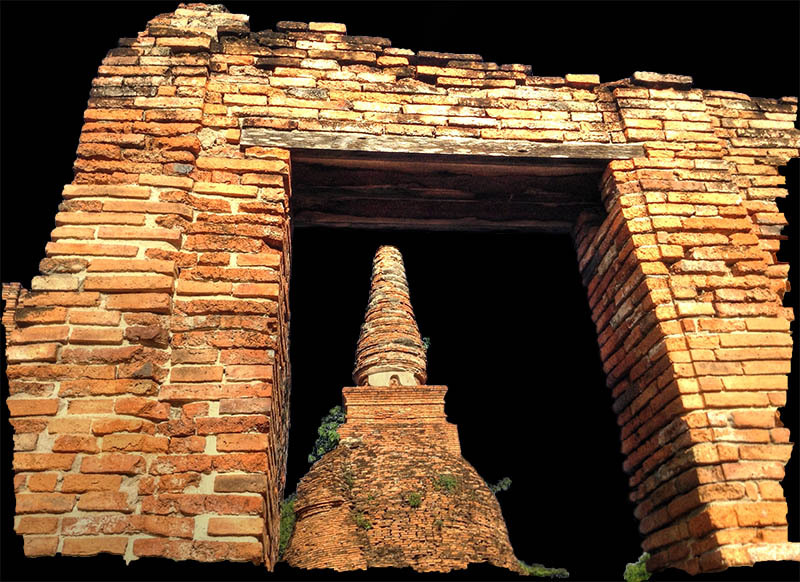 For example, when a minister or other important figure at court passed away, his title didn't go with his family, but rather reverted back to the king of Ayutthaya. 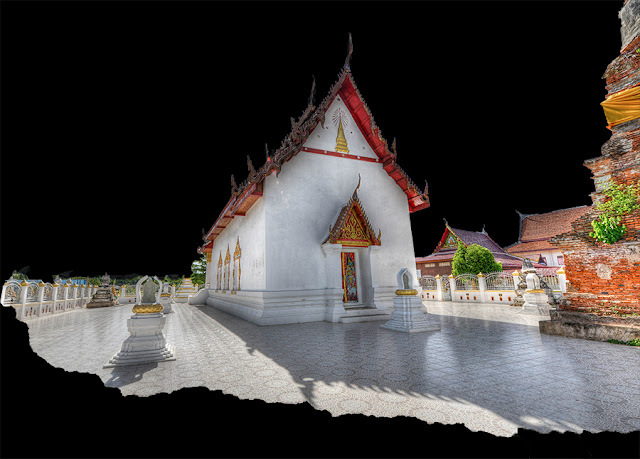 During King Nari's reign (1656-88), Thai literature flourished and his court became a magnet for poets. The first Thai textbook was composed and used in Thai schools up until the late 1800's. It was called "Chindamani". 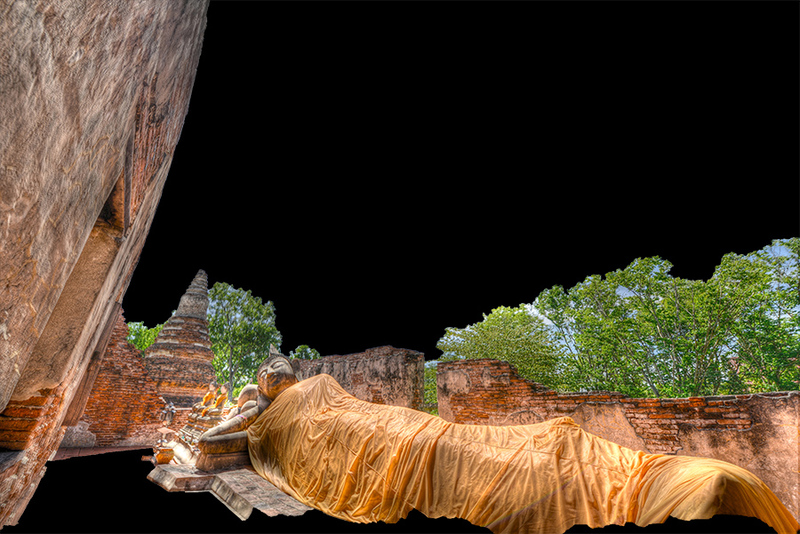 It seems the king was concerned that Europe was becoming too great an influence on Siamese culture, overshadowing it. Even as early as the late 1600's, a good many Thai children were attending Catholic schools and their numbers were increasing. Nari was the third Thai king to be granted the title "Great", after Ramkamhaeng and Naresuan. The first records of any Thais in Europe are from a printed record where a delegation of Thai ambassadors visited the Netherlands in 1608. They returned with cannons and small arms. We know there was a Dutch town further down towards the sea near the mouth of the river called New Amsterdam, but nothing remains of it today. 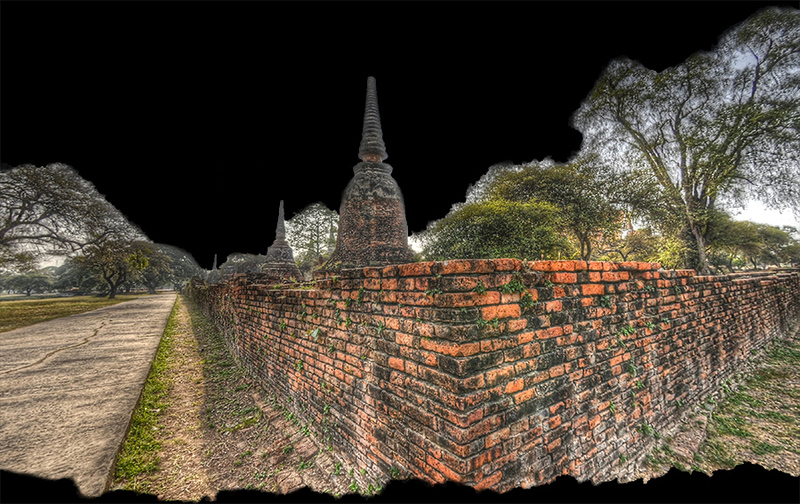 Ayutthaya not only traded with Europe. In the 1600's, the Thais traded guns, ammunition, tin, teak, coconut oil, and lead, for Japanese horses. 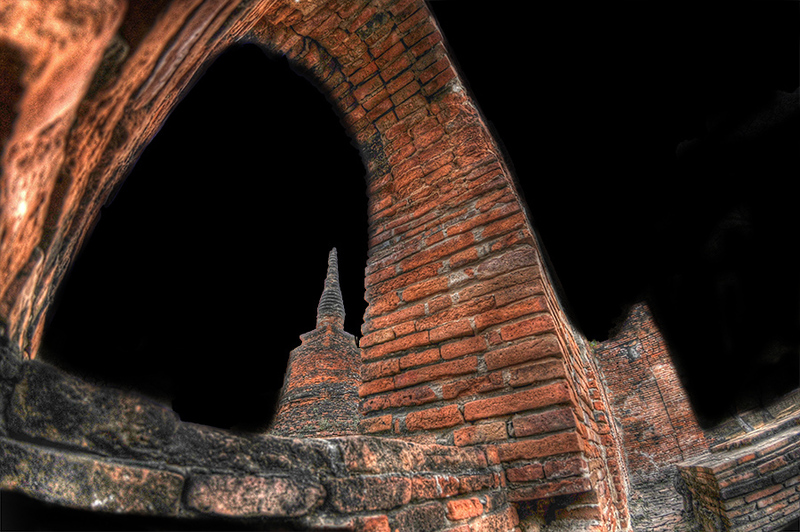 Ayutthaya had a king who used to visit local villages and fight in disguise. King Sanpet VIII (1703-9) also was known as King Tiger. 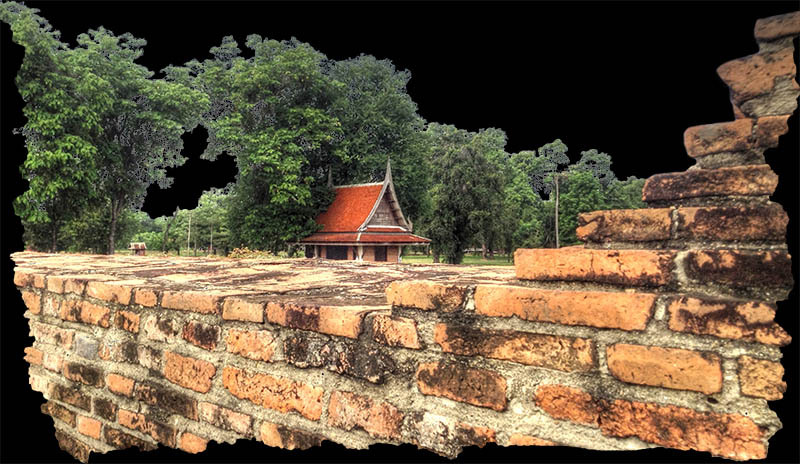 If you visit Angkor Wat in Cambodia, you'll appreciate how thoroughly a capital city can be plunged into desertion and decay. This happened because of Ayutthaya. After the Siamese invaded Cambodia, they tried to incorporate it into their kingdom. King Boromaraja II even had his son installed on the throne there. Unfortunately, the weather didn't agree with the young prince and he died shortly thereafter. 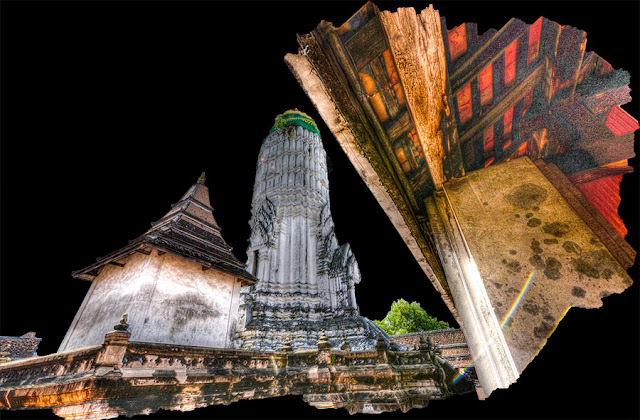 Thailand never again tried to hold onto Angkor Wat. Later Cambodian kings preferred having their new capital further downriver in what is today Phnom Penh. 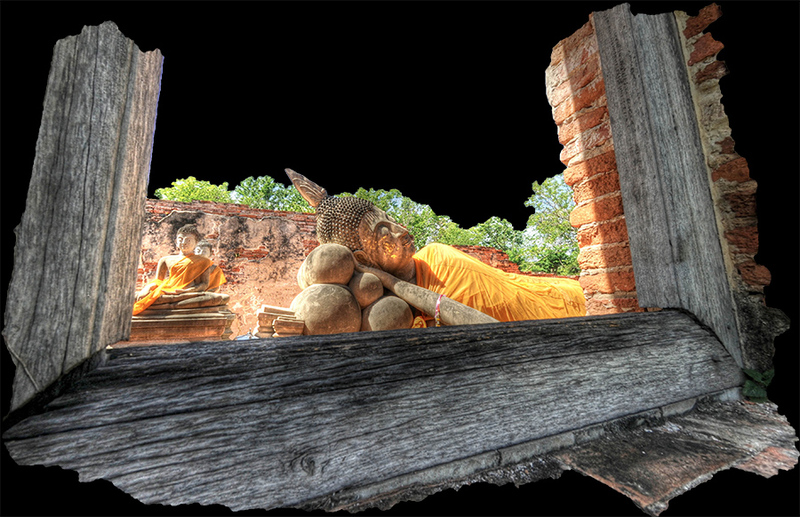 Angkor Wat was just too close to Ayutthaya for comfort. 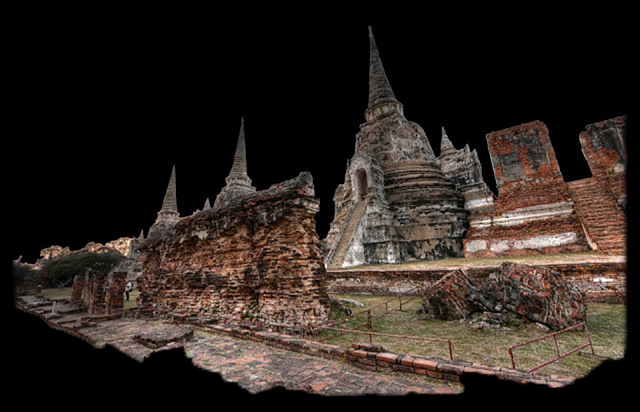 The exact boundaries of the Kingdom of Ayutthaya were non-existent and therefore quite fluid. For example, King Prasattong (1630-55) lost Chiang Mai to the Burmese in the north, but he managed to increase his overlordship to Cambodia towards the east. 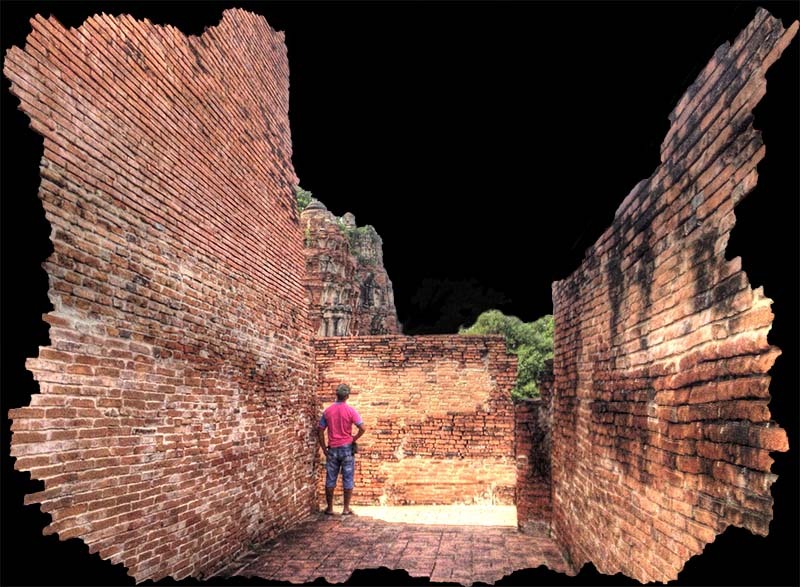 This is the same ruler who became enamored with beauty of Khmer architecture and culture and therefore decided to create a model of Angkor Wat and Angkor Thom in Ayutthaya. 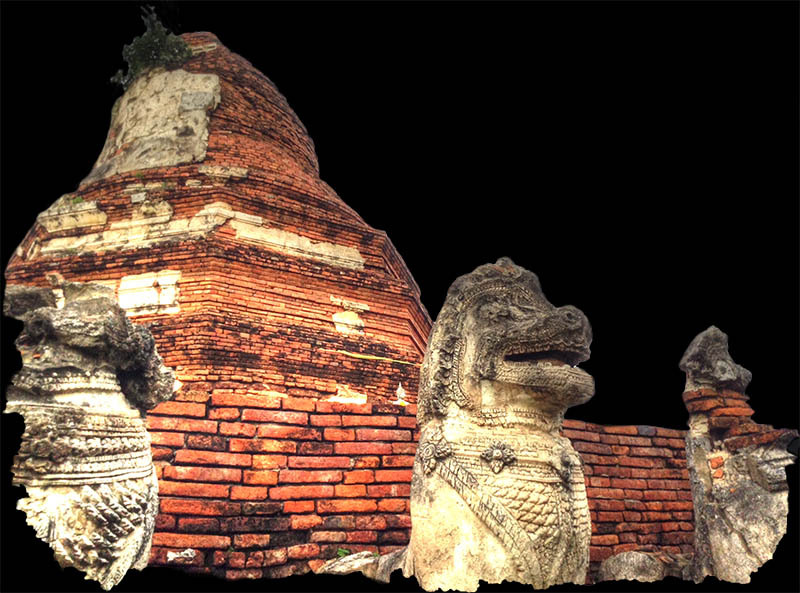 He also adopted the ancient Khmer cult (the Devaraj), which is how these ceremonies became incorporated into Thai coronations to this day. Before the Ayutthaya Period, Siamese kings were not considered reincarnations of the Lord Buddha. 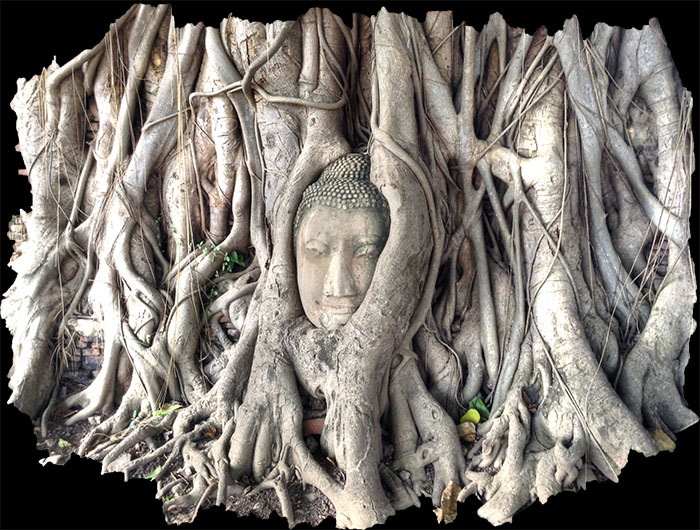 This current notion of "divine kingship" was actually an import from the earlier Angkor Kingdom in Cambodia. 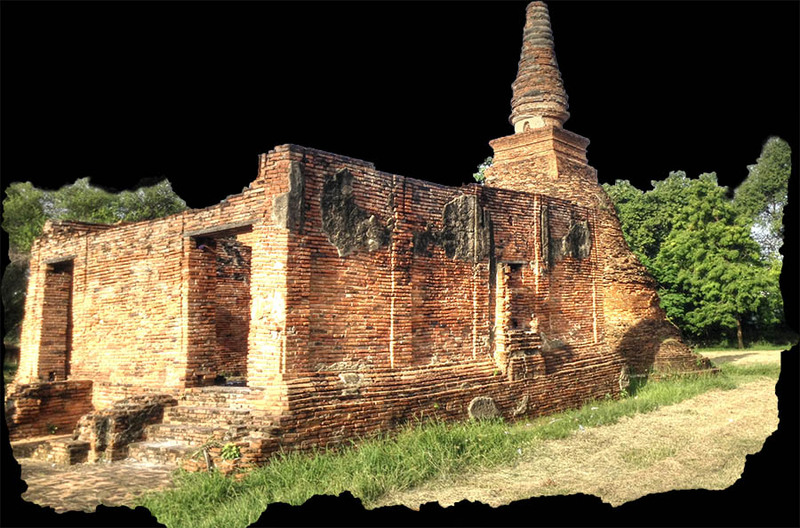 At about this time, in order to install the notion of the king's of Ayutthaya being part god, severe penalties were put in place. For example, anyone convicted of kicking a palace door could have their foot removed. 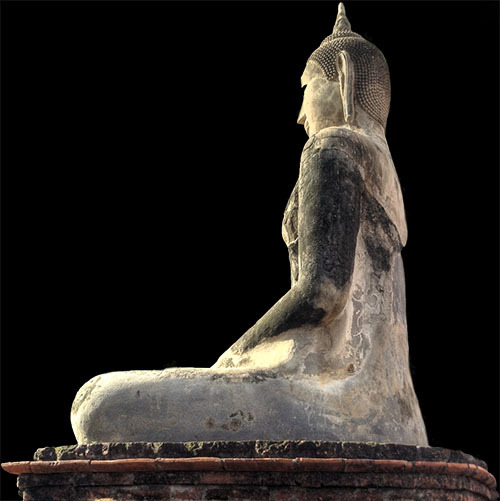 And yet paradoxically, it has been said that the coming of Buddhism to Thailand had a restraining effect, requiring its rulers at Ayutthaya to exhibit such characteristics as piety, charity, mercy, and patience, like the Lord Buddha himself. 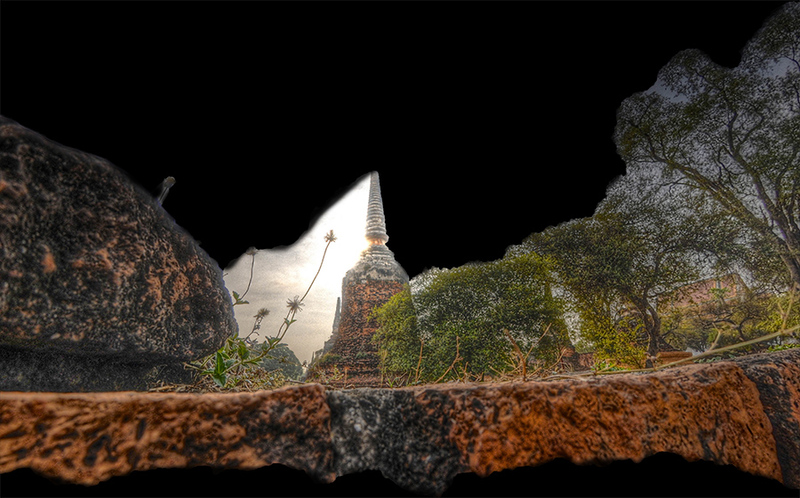 Prior to the fall of Ayutthaya in the late 1700's, Thailand was already weakened by much internal conflict. Flooding and civil wars had taken their toll, contributing to instability. Fortunately for Thailand, many of these same problems were also happening in Cambodia and Burma at the time. 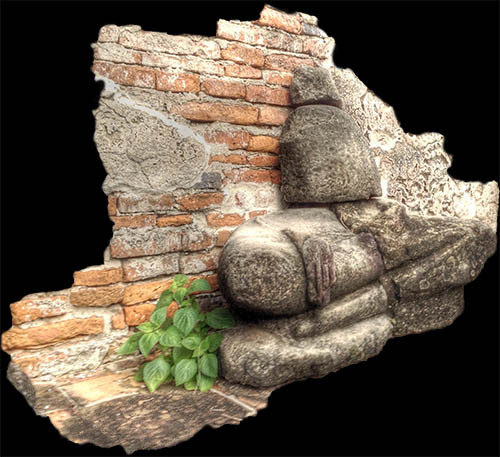 Cambodia had problems with succession to the throne, while there was a revival of the Mon kingdom at Pegu to Ava. 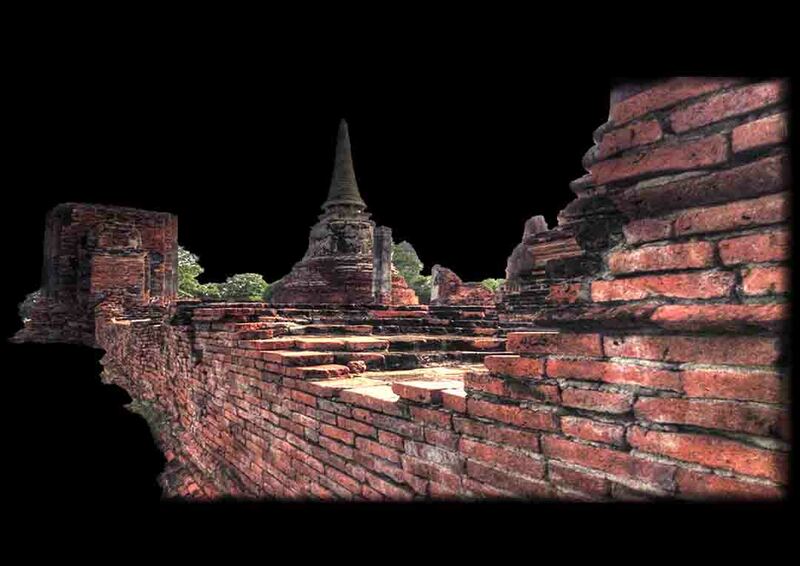 There was often no clear line of succession in Ayutthaya. If a Thai prince proved incompetent as a king, he might rule for less than a year after being forced from power by prominent officials at court. 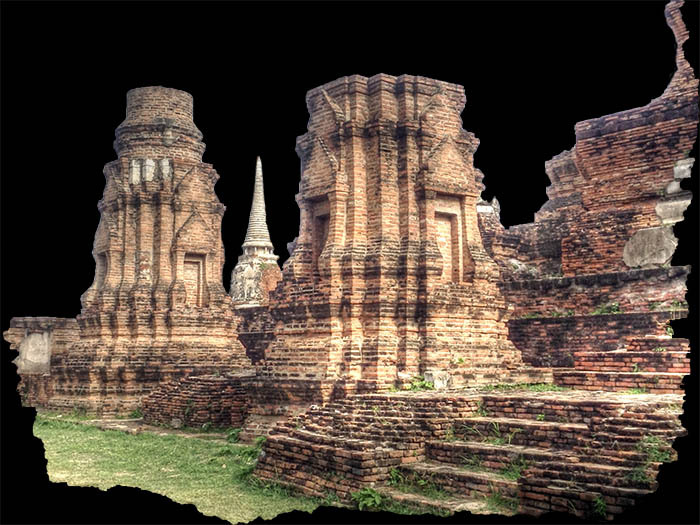 Palace intrigue was not uncommon in Ayutthaya and high officials had considerable power at times, enough power to determine who the next king would be. A young King Jettatirat ruled for only 18 months before one of his trusted advisors turned against him and had him executed in 1629. 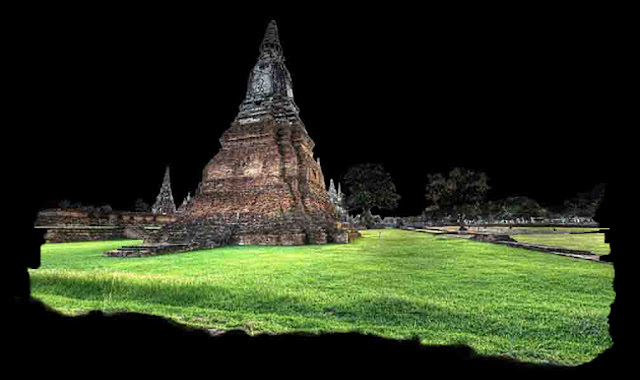 According to Rong Syamananda, professor of history at Chulalongkorn University in his book "A History of Thailand, Ayutthaya fell at night, April 7, 1767 and ". . carried off to Burma was an incaluclable amount of booty and about 30,000 inhabitants, including the ex-king . . . most members of the Royal Family, government officials, soldiers, peasants, and even monks and novices who could not escape them . . . the monarch went into hiding outside city walls . . . was fund weak . . . and died of exhaustion." 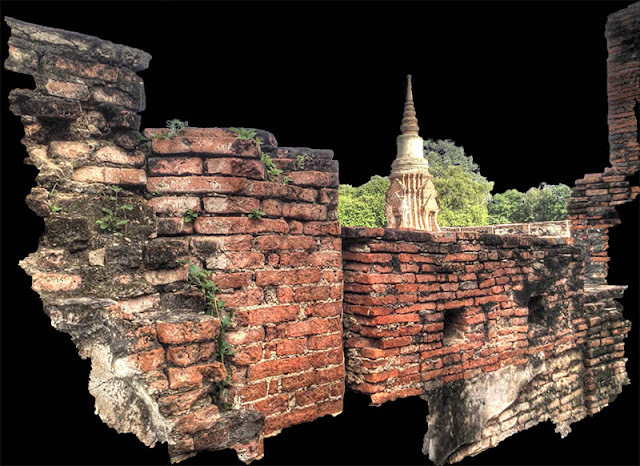 Interestingly, the current civil war going on in the south of Thailand near Malaysia could be said to have begun during the Ayutthaya period when a Malay Sultan rebelled. The king of Ayutthaya had to send troops down to Malacca (on the west coast, which was then an important market for "oriental goods"), and the Sultan submitted to Ayutthaya in 1489. 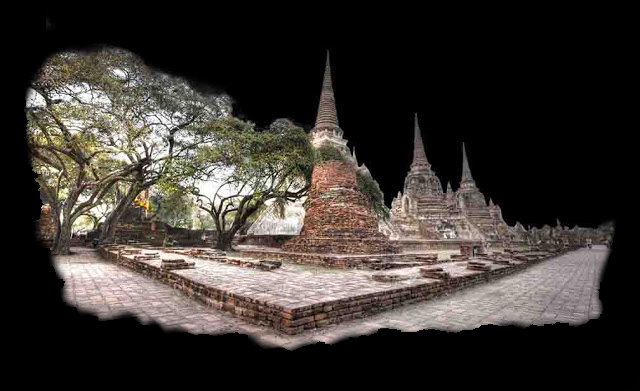 "A History of Thailand" by Rong Syamananda M.A. (Cantab) Professor of History, Chulalongkorn University. Fourth addition 1981, Thai Watana Panich Co., LTD. Copyright by David Wooster. Simple theme. Powered by Blogger.